The scary, exciting thing about entrepreneurship is that business is always changing and evolving. When you’re first getting things up and running, you might have a general idea of the services you want to offer and the clients you want to work with, but as you gain experience in your industry you begin to refine your offerings, your processes, and your brand. 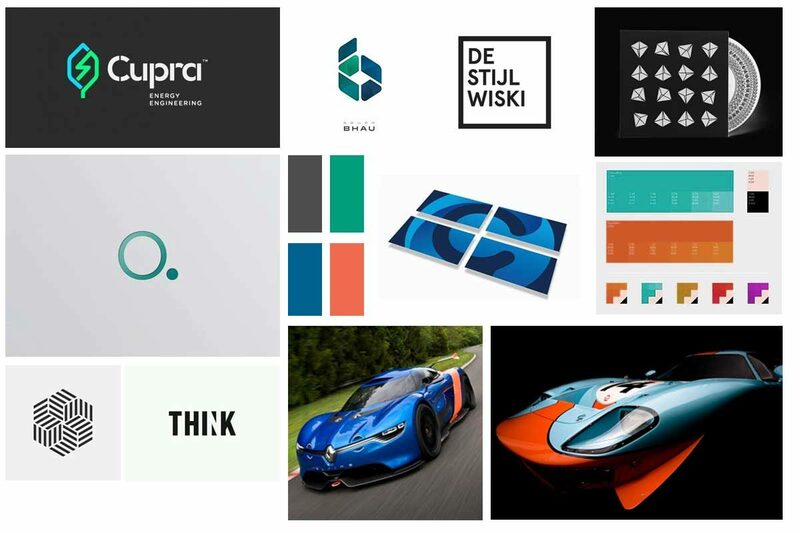 It’s always a treat to work with entrepreneurs who’ve spent a few years in business; they have a better idea of the clients they’re trying to appeal to, the items they need to have designed, and the overall visual identity they’re trying to achieve through their brand and website. So when John Tsalikis approached me for his brand and design work, I was thrilled. 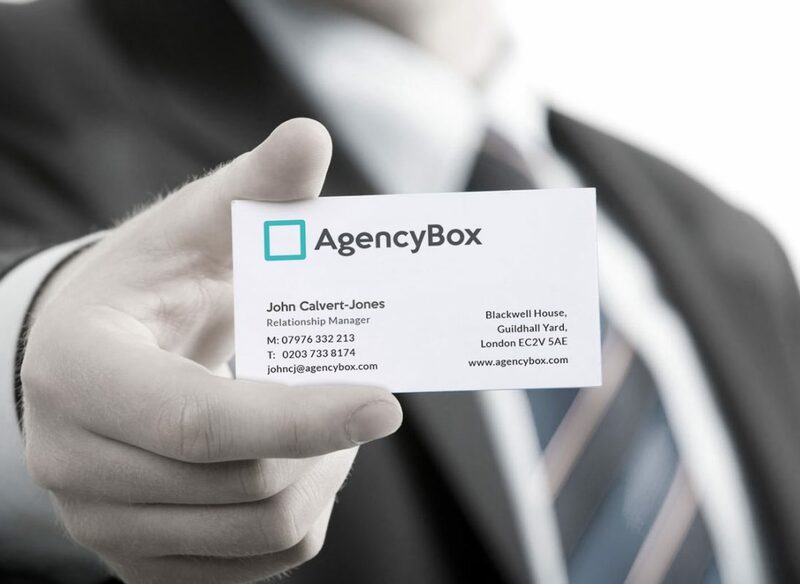 And in addition to his logo and website, I worked with him to come up with the ‘AgencyBox’ name, a brand strategy and also set up an email capture process. This included a PDF white paper report design as a free content download. 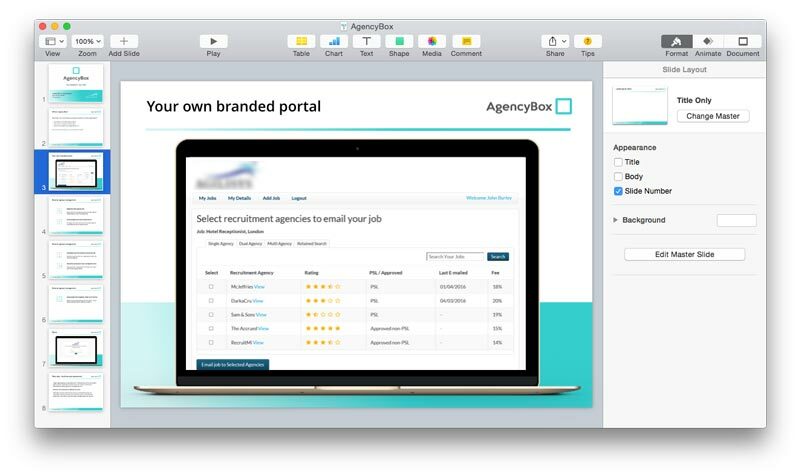 His new SaaS startup aims to help large organisations reduce agency spend through better recruitment agency management. The working title was ‘PSL Manager’ so we first needed a new brand name and clear strategy before we could start any design. We spent a couple of days of workshop together to define his positioning and fleshed out a brand strategy. The workshops help clients by taking them away from their day to day business and get them to work on their business. On the brand naming workshop, we eventually came up with a strong brand name that fitted well – and was available to purchase as a .com domain. 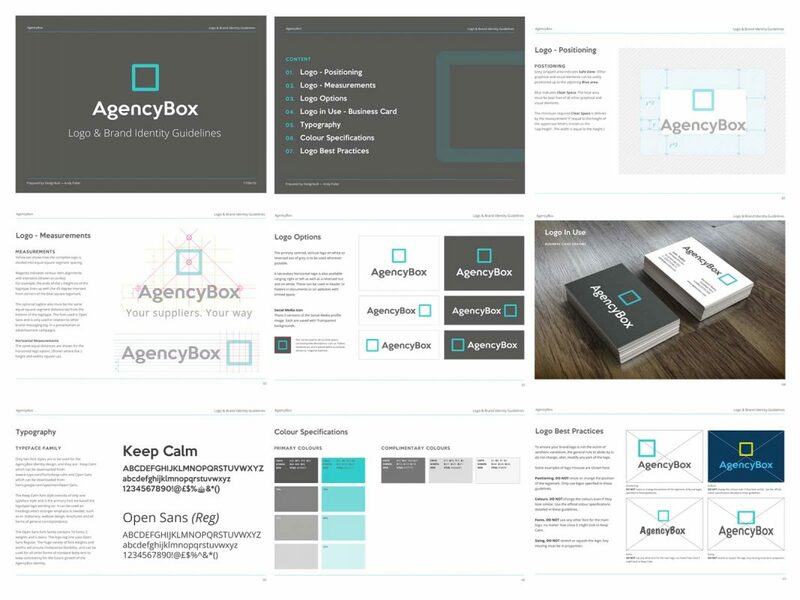 The fresh, innovative, revolutionary and knowledgeable brand name was born: AgencyBox.com. The images above don’t quite do it justice. 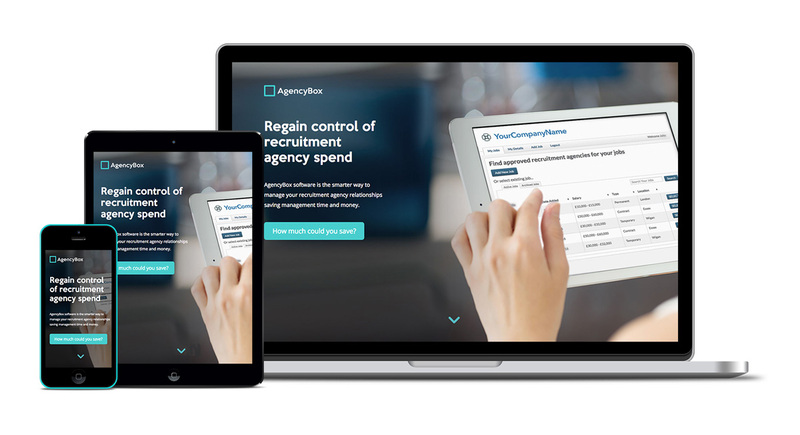 Click here to visit the new website for AgencyBox and try out the savings calculator we created!. John was a great client and I’m honoured that he trusted me to help visualise his new brand and website.